In this article we will disscuss about passive electronic component . we will also learn about the active component. Those components which required external sources to their operation are called active components. Diode, transistor, SCR, FET Etc. are the some example of active components. Passive electronic components are the basic building block of some AC circuit like R-L, R-C,R-L-C and these circuit produce resonance so the passive components resistors, capacitors and inductors along with their circuits will be studied in this chapter. Generally, materials have a characteristic behavior of resisting the flow of electric charge or current. This physical properly or ability to resist is known as resistance and is represented by the symbol R. thus , resistance R of an element denotes its ability to resist the flow of electric current. It is measured in ohm. The element which resists the flow of electric current is called resistor. Resistence forms a part of almost all the electrical/electronic appliances. It can be used in fan regulator, voltage regulator of DC generator, DC circuit of fluorescent tube, neon-tester, etc. Resistor controls the flow of current by resisting its flow and hence, voltage drop is produced across the resistor. 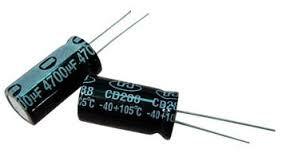 A Capacitor is a passive electronic components designed to store energy in the electrical field. Besides, resisters, capacitor are the most common electrical component. Capacitors are used extensively in electronics, communications, computers and power systems. A capacitor consists of two conducting plates separated by an insulator (dielectric). The storing charge capability is produced by the two conductor plates separated by a distance d and insulator in between them. Therefore, the three factors determine the value of the capacitance. The larger the area, the greater the capacitance. The smaller the spacing, the greater the capacitance. The higher the permittivity, the greater the capacitance. An inductor is a passive electronic component designed to store energy in its magnetic field .Inductors find numerous applications in electronic and power systems. They are used in power supplies, transformers, radios, TVs, radars and electric motors. 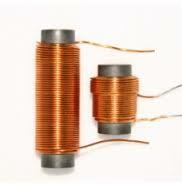 Any conductor of electric current has inductive properties and may be regarded as an inductor. But in order to enhance the inductive effect; a practical inductor is usually formed into a cylindrical coil with many turns of conducting wire as shown in the figer. Inductance is the property whereby an inductor exhibits opposition to the change of current flowing through it. It is measured in henry. Hence it is the basic passive electronic component if you will find any incorrect above please comment below in comment box. For knowing more about the passive electronic component you must watch this video.